Welcome to Ambleside Cottage Resort in Bobcaygeon, Ontario, Canada. We are family owned and operated. Our 11 cottages are simple and fully furnished, varying in size to meet your specific family needs; each with a kitchen and a 3-piece bathroom on municipal water and sewer. Enjoy the day, kick-back, go fishing, have fun, and make memories. Located on Sturgeon Lake; there is a wide variety of species for recreational and sport fishing: such as perch, pickerel/walleye, large & small mouth bass, muskie, carp, pike, and crappie. 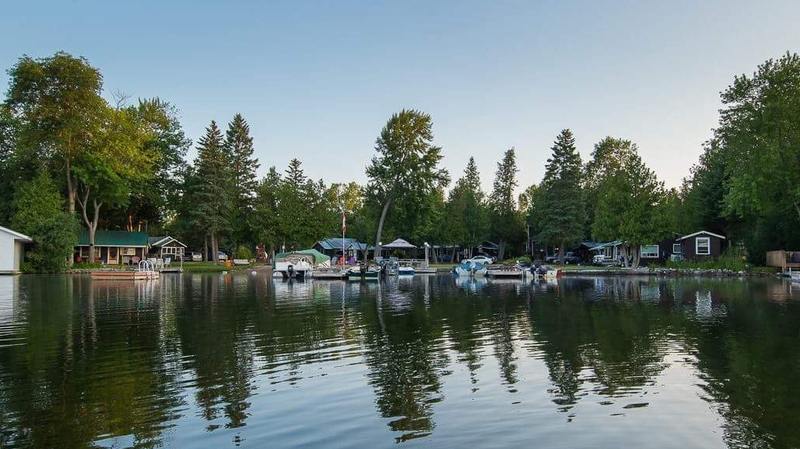 Bobcaygeon Village is situated on three islands between Pigeon Lake and Sturgeon Lake offering both activity and tranquility. There are restaurants within walking distance, food stores, and shopping on the main street. Relax and play on our sandy beach. Have fun on our large open grass area for a game of table tennis, horseshoes, or volleyball. At night, kick-back at the communal campfire and count the stars. We offer a canoe and two paddle boats for our guests free-to-use. We have kayak's for rent. We also have boat and motor rentals available for fishing. All this is all yours, just 1.5 to 2 hours northeast of Toronto. Please provide your name, telephone number, and the number of adults and children (0-16yrs) to be accommodated. ©2018 Ambleside Cottage Resort. All rights reserved. Information in this website is subject to change without notice.